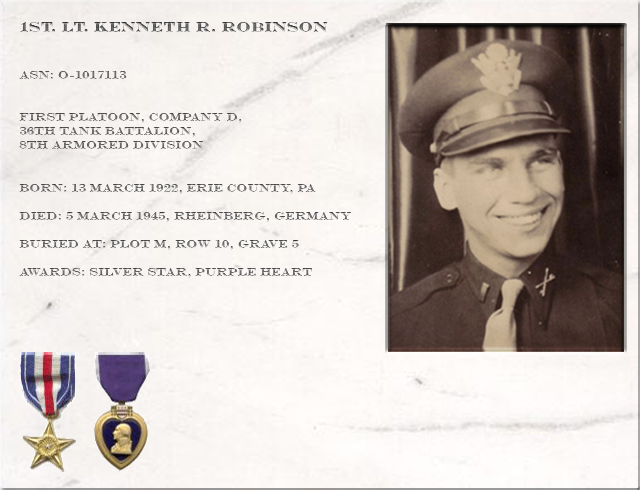 for First Lieutenant Kenneth R. Robinson. US Army First Lieutenant Kenneth Raymond Robinson was born in Girard, Erie County, Pennsylvania. His mother’s name is Rose Murphy and he had a brother named Harold and a sister, Lucille. According to the information included in the 1940 yearbook, he was in Class Athletics all four years he was in high school. He played American Football in grades 10 – 11 –12, Baseball in grade 11, Commercial Club in grade 11, Hi-Y all four years and in the Shop Class in grade 12. Grade 12 is the last year of high school in the US. He proudly wore his - red and gold - coloured (the school colours) football jersey with the number 12 on it. Kenneth certainly distinguished himself in life. He had a "presence", not roudy or loud, but rather on the neat and quiet side. 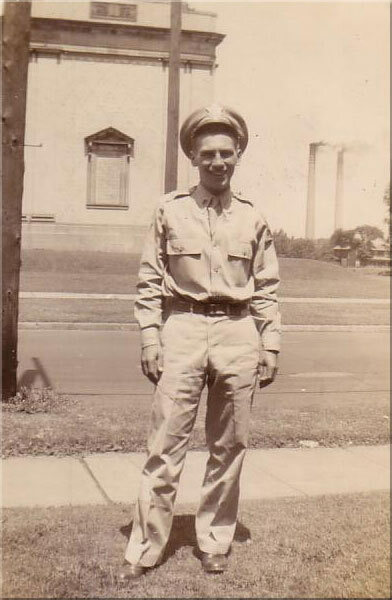 He graduated from Girard Rice Avenue Union High School in 1940 and entered the army in August, 1940. I hope that the following information will give you an insight into the early life of Ken Robinson. My family moved from Erie, PA to the vicinity of North Girard, PA in 1930. My parents purchased a farm on Middle Road, approximately two miles east of town. North Girard does not appear on any post war maps, as the name was changed to Lake City. Most of the farms in this area were about 25 acres in size. Naturally, there were exceptions. The soil was fertile and conducive to all types of farming. One of our neighbors was the F.X. Geiger family. They originally had six children. 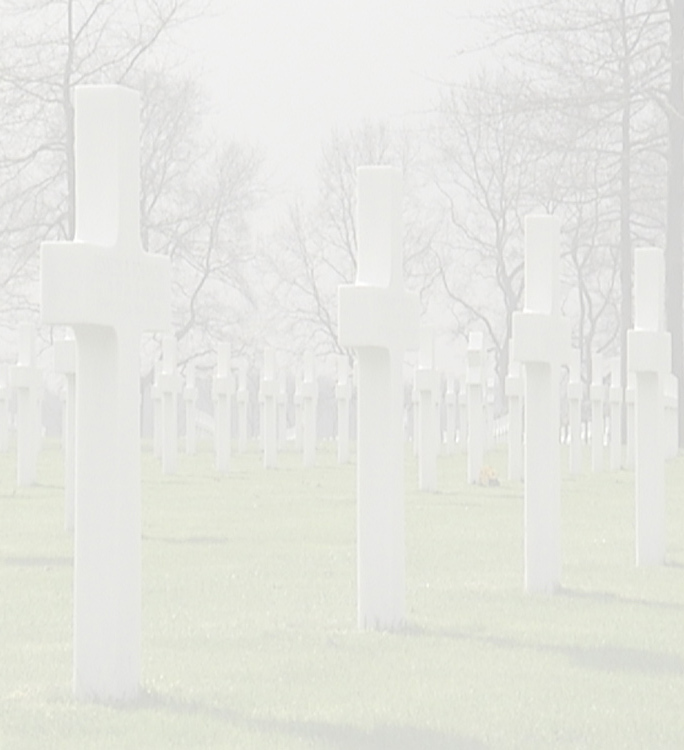 A son named Carl died at an Army camp during World War I. Their other son, Ed, worked on the farm with his father. Three of the daughters lived in Erie, and the fourth in Buffalo, NY. 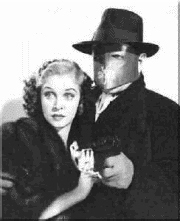 Daughter Rose was married to Mr. Robinson. They had three children – Harold, Lucille, and Kenneth. They also lived on Middle Road on a farm approximately one half mile east of the Geigers. Mr. Robinson died after Ken was born, but I don’t know when. After his death, Harold and Ken lived with their grandparents, the Geigers. Rose and Lucille moved to Erie, where Rose owned and operated a beauty shop. Mr. Geiger was a frugal, hardworking farmer with a large moustache. He died shortly after 1930. Mrs. Geiger, or Gunny, as everyone called her, was small in stature but a giant in many ways. She was less than five feet tall and had to weigh less than 90 pounds. She did all of the housework and worked on the farm. The house had no plumbing or running water. They heated the downstairs with a hard coal heater. The upstairs bedrooms were not heated. I met Ken shortly after we arrived at our farm. I don’t remember the actual meeting, but we became good friends very quickly. He was 8 years old and I was 6. At that age, we played croquet and catch with a softball. Other activities were playing cards, dominoes, and reading Tom Swift books. We also enjoyed helping churn butter at the farm. There was a large barrel type churn that was propelled by a hoop type handle. We took turns providing the energy to make the butter. When we finished, we would get cold buttermilk with several pieces of butter in the glass. None of us had ever heard of cholesterol. We also bottled and capped home brew. Our favorite drink was root beer. We prepared the extract, filled, and capped the bottles. Shelling popcorn was another task that we enjoyed. We grew the corn, hung the ears to dry, and then shelled them. I can remember Ken’s brother, Harold, popping large dishpans of corn. We continued playing sports until Ken left for the service. Our favorite was baseball. Harold was a fine athlete and he helped us. As we got older and bigger, our ball handling skills improved. When we were in high school, we could each generate a lot of speed. Ken would always be the pitcher, and I did the catching, only we didn’t have a catcher’s mitt. When we finished one of those sessions, my left hand would be throbbing. We also spent considerable time hitting flies and grounders to each other. Football was fine and we would throw passes to each other by the hour. Harold helped us with kicking, and we could both do a respectable job. We also tried boxing, but decided that the sport was not for us. Each of us would get too aggressive if one of us landed a lucky punch. Our uniform of the day during the summer was bib overalls, BVD’s and no shirt or shoes. Gunny had chickens that were free to roam. I can guarantee that we never had athlete’s foot. When we didn’t have anything special to do, we would sit in the front yard and watch traffic. If a Ford went by, Ken could punch me in the arm. If it was a Chevrolet, I could punch him. While we waited for cars, we would argue about which car or bicycle was better. Riding bicycles was also a favorite sport. We often went to North Girard and Girard – each town was about two miles from home. In the fall of the year, we helped with threshing oats. We attended and guided the straw discharge chute. The object was to distribute the straw evenly in the mow. We also got into the mow and walked around to pack it. 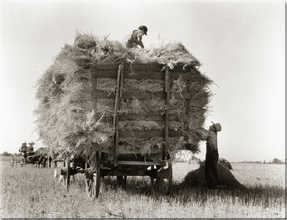 Neighbors helped each other with threshing, and at noon, a huge meal was served to all. This was usually outside on temporary tables. The barn provided us with a lot of fun. We could climb ladders to different levels, stand on a beam and then jump into the hay or straw below. After a considerable amount of practice, we were able to perform all sorts of maneuvers. We both worked at the farm when help was needed. The least desirable job was picking raspberries. I think we got paid two or two and a half cents a quart. Our favorite was picking tomatoes. There were several acres that were committed to a local cannery. We could each pick a hundred hampers in a day. A hamper was a tapered cylindrical contained with a volume of slightly more than half a bushel. We were paid three cents per hamper. At the end of the day, we were required to load the truck. Earning three dollars in one day was unbelievable. We both had worked for farmers that paid 20 cents an hour. We earned $12 for sixty hours. Swimming was a favorite sport and we were fortunate to have a fine facility available. The Sacred Heart Mission owned huge tracts of land in our area. One was a woods across the road from our farm that had a creek fed pond. Seminary students built a concrete dam and overflow, complete with a diving board. The project took some time to complete, as it was built during their free time. Ken and I spent many hours watching the construction. In the winter, the pond was a great place to ice skate. The Mission also provided us with excellent hills for sled riding and skiing. One year, Ken’s mom invited us to spend a week with her at a cottage on Lake Erie. We had a great time. We learned how to handle a row boat and ate some meals in restaurants, which we were not accustomed to. We enjoyed Saturday more than any other day of the week, as we went to the movies in Girard in the evening. Our dress code changed from bib overalls to a nice shirt and trousers complete with shoes. The movie was always a double feature. 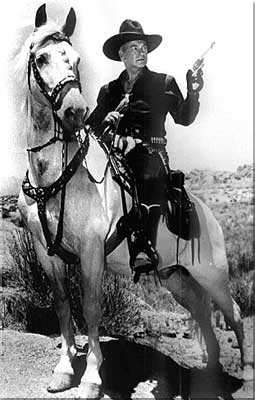 They were serials of Hopalong Cassidy or the Green Hornet. We each left home with 26 cents in our pocket. The cost of the movies was 11 cents. We spent 10 cents for a large sundae at Hurst’s drugstore, and 5 cents for a large double dip ice cream cone to eat on the way home. One day we decided to build a shack. I approached my dad and he gave us permission to build in an assigned area. It was a rather lengthy project, but we completed it. Many happy days and nights were spent in our creation. Another building project created a kayak. I cut out all of the bulkheads and got Ken to assemble it. Normally, a kayak is covered with canvas and painted to make it waterproof. We had neither, so we improvised. Material from chicken feed bags served as canvas, and roof tar replaced paint. On the day of the launching, we struggled to carry our ship to the Mission Pond. The launch was made and we were a success – it floated! It served us well for a long time, but after each use, we had to clean the tar off of each other with kerosene. We experimented with smoking packaged cigarettes, but they were too expensive. Our next attempt was to roll our own with Prince Albert tobacco and cigarette papers. My dad furnished both, when he was sleeping. It takes a certain amount of skill to roll a cigarette with fine tobacco, and we had none. In our third attempt, we smoked dried corn silk wrapped in newspaper. After much coughing and spitting, we gave up smoking. Our next venture was drinking. We had heard that wine stored outside in the winter would freeze the impurities and water into an outer shell, leaving wine with a higher alcohol content. We were also told that wine could be retrieved with a red hot poker. A neighbor had a barrel of wine outside and took a vacation. We couldn’t pass up such an opportunity. The bung of the barrel was removed and we were able to drive a steel rod into the encased alcohol. The rod was removed and we filled a quart jar. It tasted horrible, but neither of us would admit it. We kept drinking and finally we both got sick and drunk. After that episode, we decided to walk the straight and narrow. One year, Ken’s mom decided to store her car, a 1933 Model A Ford, in one of Gunny’s garages. Ken convinced Gunny that the car should be exercised to keep it in proper working order. He didn’t have a driver’s license, so he said he would drive it on the farm lanes. She consented, and he thoroughly exercised the car. One day, after several days of rain, we took the car out and got stuck several times. When we finally got back to the garage, Gunny took one look at the car, which was covered with mud, and she exploded. She told Ken, in no uncertain terms, to wash and clean the car, put it in the garage, and never touch it. I think that was the only time in all the years that I knew Gunny that I ever saw her irritated. In 1938, Rose gave the Ford that was stored at Gunny’s to her son, Harold. He had a 1929 Ford, which he gave to Ken. What a thrill! We now had wheels. We quit riding the school bus and Ken drove to school. We felt like celebrities, as very few kids drove to school. Ken had to be the most law-abiding and cautious driver that I have ever seen. He never exceeded the speed limit. No car ever received better treatment or care. He would use only one brand of gasoline (Blue Sunoco). If the weather was below zero, he always had the station owner check the water, oil and tire pressure. Our purchases for gas ranged from 25 cents to 75 cents. Gas at that time was 11 cents a gallon. The car brought us more opportunity to enjoy school functions in the evening. We went to evening basketball games and the dances that followed the home games. We did not dislike girls at all. However, dating was expensive, we thought. In 1940, we went to the senior prom in style. 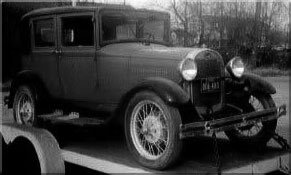 A neighbor let Ken take his new Ford special deluxe sedan. We threw caution to the wind and bought our dates corsages. We never recovered from the shock of each of us spending $1.50 for flowers. Ken was a good student in school. He had a nice personality, sense of humor, and was rather quiet. He was well received by his classmates and peers. After graduating from school in 1940, he worked for a company that owned billboards. He assisted in changing the advertising messages and pictures. War was inevitable in 1940, and thousands of young men joined the service of their choice. 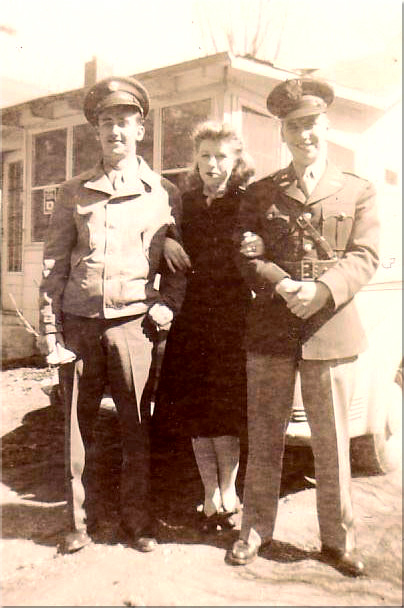 Ken and three of his friends joined the Army Air Corps. He was stationed at Langley Field in Virginia. 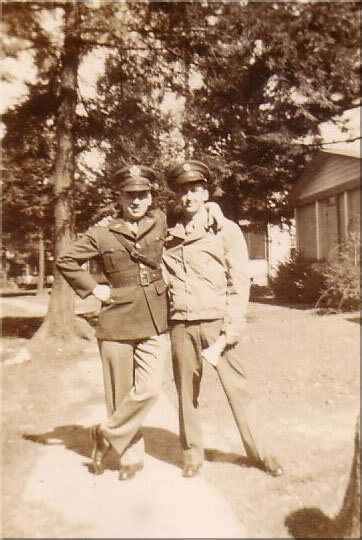 After completing OCS, he was transferred to the armored division. I saw him twice after he enlisted. In 1941, he came home on furlough from Langley Field, and in 1943 he had a leave after completing OCS training. I was home on my first furlough at the same time. We didn’t drink any wine or root beer. I still miss Ken. He was a fine person and I loved him like a brother. I’m proud to say “we grew up together”.